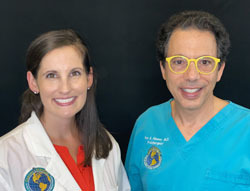 In this article, Ross Hauser, MD and Katherine L. Worsnick, MPAS, PA-C present background information on the many types of meniscus tears and how they can be treated with a non-surgical Comprehensive Prolotherapy approach. If you are reading this page you have likely been diagnosed with a meniscus tear and have just had, or are waiting to get, an MRI to determine the damage. So let’s look at the different types of meniscus tears and what you can do non-surgically to treat them. Red zone tear, white zone tear. Can either be repaired? Menisci have two zones. The red zone is outside and the white zone is inside. Meniscus tears are characterized by their placement within these two zones. 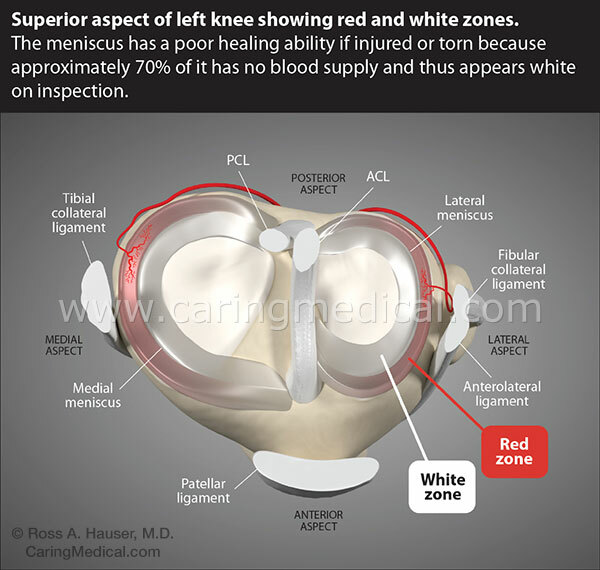 A red zone tear lies within the blood-rich portion of the meniscus. Where there is a blood supply there is healing as blood brings the healing and growth factors needed for wound repair. The white zone meniscal tear is thought to be non-healing because there is no direct blood supply. Many doctors do not believe the white zone meniscus tear can be repaired because of this. This is typically the part of the meniscus removed in meniscus surgery. If you have a red zone tear, there is a chance arthroscopic surgery can go in and sew it up. If you have a white zone tear, it is most likely that your meniscus will be removed. All or some of it. The great majority of meniscus arthroscopic surgeries are to REMOVE meniscus tissue. We have a lot of information on our site with the options for meniscus surgery. These are our regenerative medicine injection techniques. 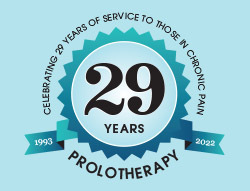 No matter the tear, partial meniscectomy and physical therapy may not work or may work. It is hard to tell. 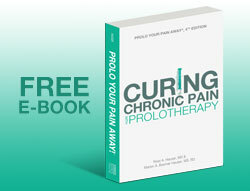 This is a study from orthopedic surgeons writing in the medical journal Arthroscopy. (1) If ever there were to be a favorable study on surgery you would think this was it. Not so. In this study, doctors suggest that there is currently no compelling evidence to support arthroscopic partial meniscectomy versus physical therapy. 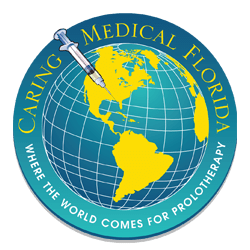 The studies evaluated in this research is not robust enough at this time to support claims of superiority for either alternative, and both arthroscopic partial meniscectomy or physical therapy could be considered reasonable treatment options for this condition. They may work, one may or may not work better than the other. The research is not sure. 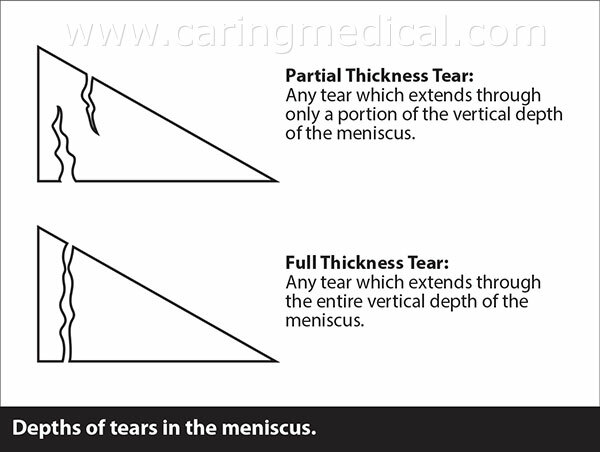 Partial thickness tears or full thickness tears: The other classification of the meniscus tear is related to the depth of the tear. Tears are considered to either be partial thickness tears or full thickness tears. Partial thickness tears are tears that only extend part way across the meniscus, while full thickness tears extend fully across. So, if you have a full thickness flap tear, then it is a tear that cuts across the meniscus completely. 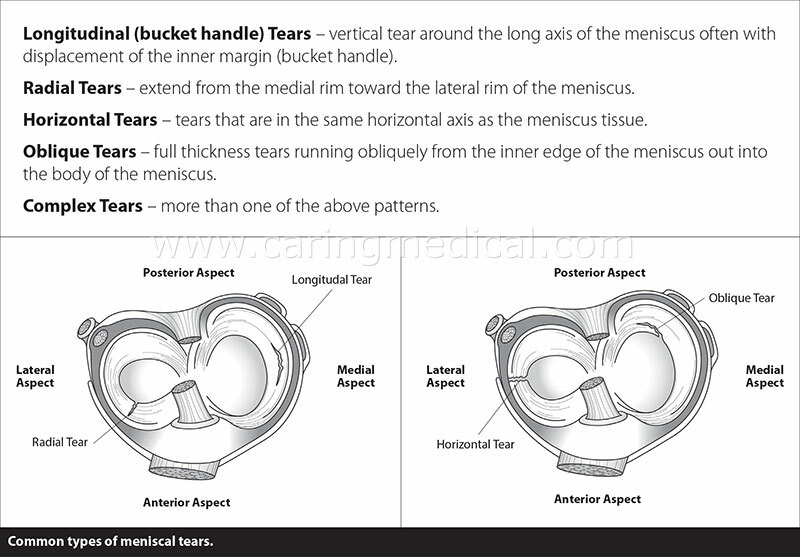 The meniscus bucket handle tear is a tear that tears vertically in either zone. It does not cut across the meniscus, but rather tears so that the curve looks like a bucket handle. Sometimes a bucket handle tear will turn into a “flipped meniscus” where the meniscus fragment folds backward. A horizontal tear (or flap tear) is the exact opposite of a longitudinal tear; it cuts across the meniscus, as opposed to running alongside it. An oblique tear is a tear that is diagonal across the meniscus. When any of these patterns combine it is called a complex tear. Complex meniscal tears are just that – a combination of tears that are “complex.” Sometimes you may get a diagnosis of a macerated meniscus, meaning shredded, frayed, or ripped up. Oblique tear or parrot beak tears because as they get larger they make an open, angular shape that looks like a bird’s beak. Is a tear that extends across both zones, starting at the red zone and then extending downward into the white zone.